The scientists and executives at global satellite services provider Telesat must like golfing because they certainly don't seem to appreciate recent Canadian satellite and business regulatory initiatives. According to this July 23rd report on the website Tech Media Reports (a subscription news service focused on the Canadian communications industry), Telesat President and CEO Daniel Goldberg has indicated that the firm has no intention of pulling its Ottawa headquarters and research division out of Canada if the government introduces auctions for satellite orbital slots. Telesat Canada warns it may leave Canada for countries with more hospitable regulations if Industry Canada moves forward with a proposal to use auctions to assign future satellite orbital slots and spectrum. The 40-year-old Ottawa company complains it already pays 10 times the amount for satellite spectrum licences than do its US counterparts. These press releases seem to be essentially political posturing over Industry Canada's Gazette Notice DGRB-001-09 under the Department of Industry Radio Communication Act, published in April 2009, which seeks feedback on the possibility of using auctions to award licenses to operate Canadian satellite services. Telesat notes the unanimous opposition to satellite spectrum auctions from those representing the satellite industry. In addition to Telesat and the CSSIF (whose comments were endorsed by Telesat), the S1A and Ciel also expressed strong opposition to satellite spectrum auctions. Ciel has also pointed out that auctioning of satellite spectrum would be inconsistent with the Department's own Framework for Spectrum Auctions and that the paucity of potential bidders and the amount of satellite spectrum available are inconsistent with the economic arguments normally advanced to support spectrum auctions. Both SLA and Ciel noted that diverting resources to auction fees would reduce those available for capital investment in the satellite networks themselves, ultimately reducing the benefits of satellite connectivity to the population as a whole. Why is this debate even going on? That's simple: we're running out of orbits to launch satellites into. With satellite operators around the world looking to gain an edge in terms of offering new services, access to real estate is vital. However, with most of the so-called hot orbital slots taken, what opportunities remain for satellite operators to develop new positions or make better use of the existing slots? Industry Canada, fully aware of the problem has simply opened the debate as to the appropriate method to allocate the existing Canadian orbital slots, which are provided through the International Telecommunications Union (which officially allocates orbital slots to nations only and not directly to satellite operators or other private corporations). Telesat, although unhappy with the idea of auctioning off Canadian orbital slots is aware that this is only an initial move in a long process and has decided that it's not yet prepared to move corporate headquarters somewhere else, at least until the final offer is tabled. After all, this is a company with very deep Canadian roots and quite a few golfers who must certainly appreciate the nearby Pine View Municipal Golf Course, which was voted "Best Golf Course" by Ottawa Sun readers for two years running. Canadian aerospace company MacDonald, Dettwiler and Associates Ltd. (MDA) has finally signed the $4.3 million (CDN) contract with the Canadian Space Agency (CSA) for the development of the mission con cept for the Polar Communications and Weather Mission (PCW) according to this press release issued July, 23rd by MDA and posted on the Commercial Space Watch. The PCW project is designed to facilitate Canadian operations in the north and support Canadian sovereignty by providing reliable and continuous space-based communications services and timely meteorological information. The contract could indicate the beginnings of a more activist approach by the CSA to the use of Canadian space assets in issues relating to national security and northern sovereignty and might also be a logical follow-on to last years government refusal to allow portions of MDA to be sold to US based firm ATK. 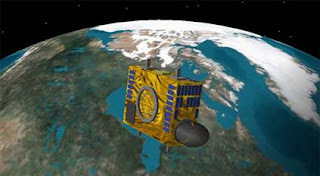 As presently structured, the mission would consist of two satellites in Molniya-type orbits, supported by one northern ground station and connected to communication satellites in geosynchronous orbit with other connections to various portions of the telecommunications infrastructure in order to assist with tracking, identification and analysis. The specific contract announced on Thursday is to develop the preliminary knowledge necessary to proceed towards the next phase. I’ve been getting some excellent feedback from a variety of sources related to my July 19th Commercial Space blog post under the headline “Canadian Space Agency Provides "No Dedicated Programs" to Support Small Aerospace Firms." The post is focused on comments from page ten of a publication titled: Small Aerospace Companies: Space Activities in North America and Europe written by investment bank Near Earth LLC which states that, when compared to organizations like the National Aeronautics and Space Administration (NASA), the National Oceanic and Atmospheric Administration (NOAA), the European Space Agency (ESA) and others, the Canadian Space Agency (CSA) has "no dedicated programs for small business." Although, in a literal sense, it may be true that there are no dedicated programs, it is effectively quite an inaccurate comment. The CSA supports many small companies through a series of procurement opportunities. In fact, it is interesting that one of the first highlighted examples of technology in the Near Earth report is the Neptec Space Vision System that is used in the Shuttle program and which was funded by the CSA. Although the big CSA funding goes to the major companies like MDA, the majority of the contracts are awarded to small and medium sized companies. Hopefully, someone at the CSA will offer a rebuttal to the Near Earth report. The Earth Observation Applications and Utilization (EOAU) Program, which is an umbrella designation for a number of programs through which companies can obtain support. For example, one component of the EOAU program, the Earth Observation Application Development Program (EOADP) funds projects that are exclusively for industry led initiatives. The Space Technologies Development Program (STDP), which supports the development of technologies for the enhancement of industrial capabilities. The Satellite Communications Program, which supports the development of advanced satellite communications technologies and international services. The Partnerships Support Program, which is directed to universities, but does include the funded participation of industrial partners. The various Canada - ESA Programs, which allows Canadian companies to participate in ESA led initiatives offset with CSA funding. I understand where the reader is coming from when he states that “typically, although the major procurement contracts may be awarded to a large company to manage and lead, they most often include a number of subcontracts to smaller companies” and these subcontracts help to sustain and grow small business every bit as much as the more formal programs administered through NASA and the ESA. So how do real small business space subcontractors feel about this state of affairs? Does CSA do enough to nurture and grow small aerospace businesses through the existing process? The floor is open for questions, queries, statements of concern or support and general comments. It's been forty years since Apollo 11 landed on the Sea of Tranquility and it looks like we all sometimes get it wrong when it comes to predicting the future. For example, here's Tom Lehrer, best known for the pithy, politically tinged and humorous songs he recorded in the 1950s and 60s, as he sings about one of the icons of our first great space age. In only two and a half minutes, he manages to make fun of the space program and its military connections, nuclear Armageddon, America's sense of self-superiority, heroes in general, the Nazi's in particular and even bureaucrats. It's interesting to note how almost everything in the song is still relevant (and some of us rocket focused people might still want to consider learning "Chinese"). It is also a good reminder that those who led mankind to the Moon forty years ago were stubborn individualists and opportunists who embraced risk, endured setbacks, knew failure and were not universally loved or even terribly well respected in life but who continued forward anyway to accomplish unique and amazing things. 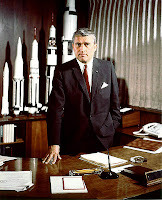 Oh, Werner von Braun had it all figured out. In six issues of Collier's magazine he laid out a plan to send men to Luna and Mars. First you build a space ferry as a surface to orbit cargo transport (which was the great-grandfather of the Space Shuttle). Then you use it to make a space station. And it was going to be a beauty of a space station, too. Three decks, 250 feet in diameter, and a crew of fifty. Makes the ISS look like a tin can. This outpost in space was where the Lunar expedition fleet would be constructed. It would pay for itself as well. Meteorologists could plot the path of storms and predict the weather with unprecedented accuracy. Radio and TV signals could be transmitted all over the globe. Not to mention observing the military activities of hostile nations. Why was this marvel never constructed? Because some clown invented the printed circuit. Freed from the tyranny of fragile and short-lived vacuum tubes, technologists could make unmanned satellites for meteorologists, radio and TV signals, and watching hostile militaries. Such satellites could be assembled and launched at a fraction the cost of a manned station. They also did not require constant resupply missions to keep the crew alive. We're at the beginning of our second great space age and many are wondering what it will turn out to be like, who will end up as our next generation of heroes and what they'll be remembered for. Here are a few ideas on areas to focus from Canadians and others participating in the 2006 IAC roundtable on Major Space Markets in the Next 20 years and the Corporate Approach for Success. The panel, moderated by Virendra Jha (then VP Science, Technology and Programs for the Canadian Space Agency) also included Mag Iskander (then Executive VP and General Manager Space Missions for Macdonald Dettwiler and Associates) and quite a few other major figures in aerospace so it's amusing to note how the participants each act amazed at the things that have happened over the last twenty years, then marvel at how most of it was unexpected but then state unequivocally that the market has likely stabilized and will now remain essentially the same (with one or two predictable exceptions which are logical progressions of existing trends). Of course, they haven't been entirely correct. 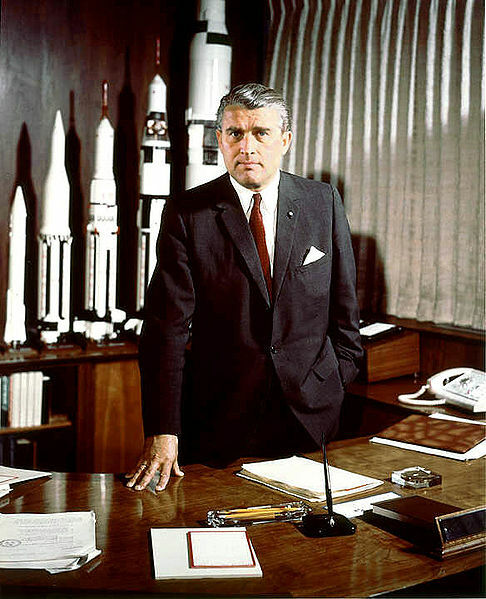 The Augustine Committee, the British Space Innovation Growth Team and the MacLean team building our Canadian long term space plan might want to take note of this and then reflect on the earlier experiences of Werner von Braun. It's interesting that there seems to have been no comments relating to the publication by investment bank Near Earth LLC of its recent white paper on Small Aerospace Companies: Space Activities in North America and Europe, which categorizes small aerospace firms as "vibrant and important sources of industry innovation and value creation." Small aerospace focused firms are also defined as being "recession resistant" with "high credit quality customers" plus "committed management and employees." Unfortunately for Canadians, the report also states that, when compared to organizations like the National Aeronautics and Space Administration (NASA), the National Oceanic and Atmospheric Administration (NOAA), the European Space Agency (ESA) and others, the Canadian Space Agency (CSA) has "no dedicated programs for small business." The NASA Mentor-Protégé Program, the Innovative Partnerships Program (IPP) and IPP seed fund program plus the NASA Centenial Challenges program. The NOAA SBIR research grants. ESA Small and Medium Enterprises (SME) Initiative, the LET-SME program and various technology research awards (TRP) for small and medium businesses. Other European agencies (such as the French CNES, the German DLR and the Italian ASI) also provide programs for small aerospace businesses such as the NAVOBS PLUS program, various RTD programs for space service infrastructure and the SME Working Group and Commissioner (through the DLR only). 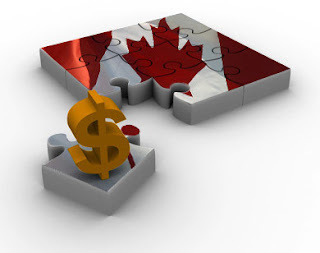 These programs are separate from others developed and administered at the federal or provincial/ state level such as the variety of US government programs (various small business set-asides, the Section 8(a) Business Development Program, SBIR / STTR grants and the multple HUBZONE programs) or the Canadian SR&ED programs, the IRB tax credits or the multiple National Research Council (NRC) and National Sciences and Engineering Research Counsel (NSERC) grants that can be taken advantage of by small aerospace firms but are not designed specifically for them. But taken together, this listing of space activities and small business programs (available on page ten of the report) provides a useful list of avenues of improvement for the CSA to explore as it moves forward with its (evidently ongoing) update of Canadian Space Policy. To its credit, the CSA is sited for its microsatellite missions (such as NEOSAT) and "opportunities for small science platforms" which can be contracted to small aerospace businesses to provide a revenue source. The report makes it clear that small aerospace companies cannot be ignored and states that, "although the aerospace industry is dominated by a small group of large companies, there is a sizeable and diverse universe of small aerospace companies engaged in space activities. These smaller aerospace companies are engaged in all elements of the value chain and provide critical and innovative components, subsystems and mission services to large prime contractors as well as to end user operators." Someone in the CSA should either respond to this report or use it as a template for improvements. Google Lunar X-Prize contender Odyssey Moon, a newspace company with a strong Canadian connection, seems poised to benefit from two important announcements today. The first boost is the announcement by Odyssey Moon Founder and CEO Dr. Robert Richards and Chairman Dr. Ramin Khadem that several well respected international firms have joined the Odyssey Moon "corporate team" to assist with the firms quest to "become the first private company to provide payload and delivery services to the Moon" according to this press release posted on the NASA Commercial Space Watch website. Near Earth LLC, an investment bank specializing in satellite, media and telecom properties. Ad agency The Brand Union, a member of the WPP group of companies, one of the six largest marketing and communication companies in the world. Aon International Risk Brokers, the worlds only insurance broker dedicated exclusively to the space industry. International law firm Milbank, Tweed, Hadley & McCloy LLP, which has a strong telecom and space focused practice. These new business relationships join existing partnerships with NASA (to develop a robotic lunar lander), MANSAT, the Paragon Space Development Corporation, independent merchant bank Quayle Munro plus Canadian based companies Optech and prime contractor MDA as part of the Odyssey Moon team. The press release also announced the addition of veteran investment banker Carol Goldstein to the Odyssey Moon executive. With 25 years experience on Wall Street financing commercial satellite and telecommunication projects, Ms. Goldstein will focus on fundraising activities. These items cannot help but be perceived as beneficial to Odyssey Moon and a solid base for consolidation of the business structure preliminary to moving forward with the actual hardware development. And this is only their first boost of the day. 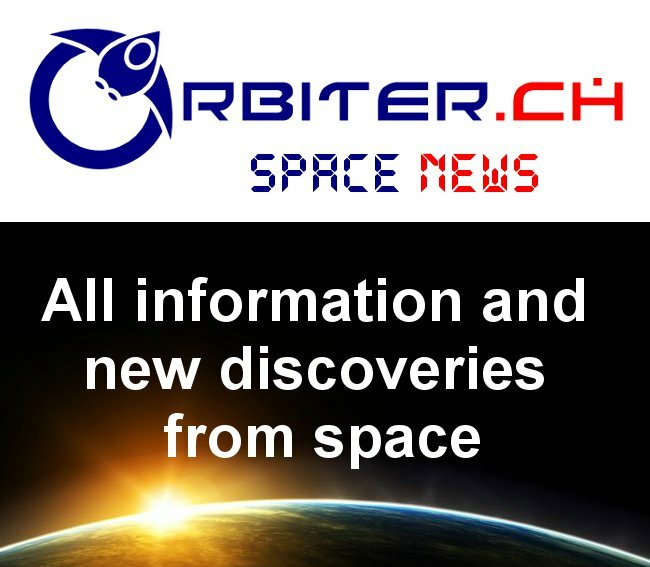 The second boost is another press release, also available on the NASA Commercial Space Watch website from the X-Prize Foundation. It promotes a recent study by the Futron Corporation, a well respected aerospace consultancy which predicts that companies such as those competing for the Google Lunar X-Prize "will be able to address a market in excess of $1 billion over the course of the next decade." "...involved a detailed examination of the 19 teams already registered in the competition, as well as a robust analysis of potential lines of business, identified six key market areas: hardware sales to the worldwide government sector, services provided to the government sector, products provided to the commercial sector, entertainment, sponsorship, and technology sales and licensing. Taken together, the study projects the value of these markets to be between $1 - $1.56 billion within the next decade. Additionally, some Google Lunar X PRIZE competitors have set their sights on additional market sectors that fell outside of the scope of the Futron report, which could result in an even higher total market size." Futron has also written well recieved white papers and reports on space tourism, and the satellite industry in the past so this second boost of the day should go a long way to simplifying Ms. Goldsteins new job at Odyssey Moon, which is to raise money for their Google Lunar X-Prize attempt. It's interesting to note that several of the more famous newspace focused companies such as Odyssey Moon (founded by Canadian Bob Richards who also works for Canadian based, space focused company Optech) and PlanetSpace Corporation (which started out as the Canadian Arrow team competing for the Ansarii X-Prize) possess strong Canadian connections but are not officially Canadian based. Odyssey Moon lists it's official HQ as being in both the US and the Isle of Man (with a Canadian subsidiary) while the PlanetSpace HQ is presently in Chicago. Since both companies sited as examples have incorporated within the US, the logical assumption is that relocating into the US "cluster" has allowed both these firms to more effectively compete with Canadian and other non-US focused businesses. But this initial conclusion might not be entirely fair given that Odyssey Moon also lists incorporation in the second jurisdiction on it's website at www.odysseymoon.com. In fact, it seems quite common for newspace focused firms to have multiple incorporations across national jurisdictions with the intent to qualify for as many regional tax credits as possible. But building a tax structure allowing multiple incorporations under different jurisdictions simply won't create "clusters" of excellence by itself because building competitive advantage takes more than simply having suitable tax structures which anyone, even an offshore entrepreneur, can take advantage of. In essence, there can be no cluster without a physical presence and the ability to interact with other local players. Porter agrees and states "increasingly, competitiveness is no longer a government driven process. It's a process where government and business and universities and other institutions work together to r aise the bar in terms of productivity and all of them are contributing. All of them have to be players." So we need to do more than fiddle with the tax system in order to build an national industry. We also need to take steps to encourage people to physically locate their businesses in Canada to help build "clusters" or physical repositories of talent, knowledge and useful skills. For a second example where tax credits and government activities could not be taken in isolation, you might want to take a look at the government document titled “Institutional Aspects of R&D Tax Incentives: The SR&ED Tax Credit” available from the Micro-Economic Policy Analysis Branch of Industry Canada. This document provides a fascinating history of the SR&ED tax credit form program implementation in 1986 (when it replaced the earlier Scientific Research Tax Credit) to 1995 along with a useful outline of what actually happens when tax change is contemplated and an inventory of who really does need to be consulted for the process to be successful (it also contains a bit on why the earlier policy was changed). One other thing to note is that “true believers” in the commercial potential for space like Richard Branson, and Bob Richards don’t need government incentives to invest their time, effort and money in space focused companies although they may utilize business strategies allowing for the maximization of tax credits across national borders as part of standard due-diligence. As for the rest of us, no one yet knows how large the tax credits need to be in order to attract the interest of more conventional investors to the newspace arena. The Kingston Chapter of the Canadian Space Society and the Physics Department of the Royal Military Co llege of Canada have just announced the call for papers for the upcoming Canadian Space Summit, being held on November 20-22, 2009 in Kingston, Ontario. This annual event is dedicated to developing a wider understanding of the diverse space exploration and development projects undertaken by Canadians and helps foster collaborative connections between the government agencies, businesses, organizations and space advocates involved. The focus this year is on the concept of "dual use" technology which has traditionally referred to technology used for both military and civilian aims but also describes the multiplicity of terrestrial problems, research applications and collaboration opportunities that space focused solutions can assist with. Low Earth Orbit: including on-orbit servicing, debris removal/mitigation, space surveillance, micro-satellite constellations, nano-satellites and Arctic sovereignty. Astronomy: including metrology and precision space telescope structures, space telescope detector and receiver technologies (X-ray, UV, THz), attitude control and pointing technologies, space telescope optics technologies and space astronomy science instrument concepts. Planetary Exploration: including robotic exploration on Earth and solar system, technology transfer, planetary and Earth observation, planetary science instruments and discussions of terrestrial benefits. Space Commercialization: including regulatory and financial issues surrounding the "dual use” theme, such as utilization of industrial and regional benefits (IRB) to drive ongoing, and multiple use sales, "dual use" of military space focused technologies, and export controls for “dual use” products. Education and Training: including elementary, secondary and post-secondary programs, student participation in space missions, the role of government and industry, new roles for educational institutions, and communication of space activities to the public. On top of hosting the Space Summit and other events, members of the Canadian Space Society often provide commentary for news outlets on space related events as witnessed by this recent CBC Newsworld interview with society member Talmon Firestone. 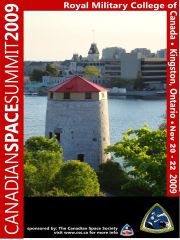 For more information, to register, and to submit a title and abstract for a presentation, please visit www.css.ca. 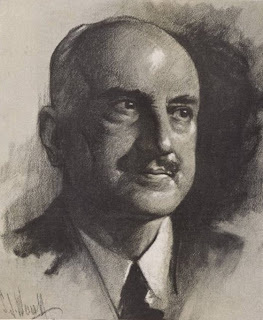 In 1905, George S antayana wrote in his book, The Life of Reason that "Those who cannot remember the past are condemned to repeat it." Ever since, the phrase has been endlessly misquoted (mostly by people who don’t remember George Santayana) or paraphrased (Clarence Darrow once said “History repeats itself. That’s one of the things wrong with history”). Our present space age (measuring from Sputnik) is scarcely sixty years old and some argue that not enough time has elapsed to draw any conclusions or provide appropriate comparisons between our present and previous ages. Fortunately for those of us who remember Santayana, here are two authors focused on our present space age but still well aware of relevant history. 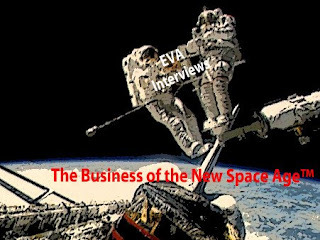 Our first author, Eva-Jane Lark is Vice-President and Investment Advisor w ith BMO Nesbitt Burns, one of Canada’s largest full-service investment firms and this makes her a rarity for a Canadian space advocate because of her ability to assess the business case for space entrepreneurship (important since most space focused entrepreneurs seem to be engineers or scientists). Our second recommended author, Michael Michaud, was a career foreign service officer for the US government for thirty-two years before retirement, when he turned full time to writing. 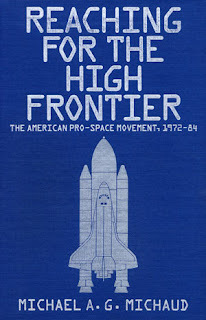 His book, “Reaching for the High Frontier: The American Pro-Space Movement, 1972-1984” is exceptional reading for developing background on the various space advocacy groups which developed in the 1972–1984 period as a result (the author believes) of the stagnation of the NASA budget and lack of clear policy direction. It’s hard not to read this book without becoming immediately aware of parallels between the periods profiled and our present day, with its lack of NASA direction and on-going commissions in Canada, the US and England focused on developing space policy (as per my June 26th, 2010 post "UK Joins Canada and US in "Not Knowing Quite What To Do" With Their Space Program"). And finally, for those of us who wish to learn more about history but don’t like to read, here’s a promotional video on the Canadian Air and Space Museum, a repository of Canadian aerospace history and where the Canadian Space Society normally meets.